(2010) Will GlaxoSmithKline’s Blood Money Go Unpunished? Will GlaxoSmithKline’s Blood Money Go Unpunished? In the 1970s, economist Milton Friedman penned an opinion piece in The New York Times Magazine that discussed his view on corporations’ social responsibilities. Friedman’s take on corporate social responsibility was summed up in his famous quote – “There is one and only one social responsibility of business – to use its resources and engage in activities designed to increase its profits so long as it stays within the rules of the game, which is to say, engages in open and free competition without deception or fraud.” If the recent years have demonstrated anything, it’s that without strong regulations, empowered enforcers, and lawmakers providing legitimate public service as opposed to lining their own pockets and shilling for large companies, corporations will freely and enthusiastically engage in competition utilizing deception and fraud in order to drive profits. 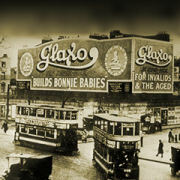 In a recent article in The New York Times, global pharmaceutical company GlaxoSmithKline ( GSK ) demonstrated that in its quests for profits it would have no problem at all being complicit in the deaths of its customers, not exactly a surprise given that we are in an environment with loose regulations (generally written by those that will be regulated), neutered regulating agencies, and politicians whose real constituents are corporations like GSK. While one could point out that stocks within the sin stocks category (alcohol, tobacco, gaming) profit at their customers’ detriment, at least for the past decade if not longer, consumers have been well aware of the risks using these products carries. More importantly, these companies do not generally profess to market products that benefit the health of their customers. In contrast, GSK was pushing a product, in this case a treatment for Type II diabetes called Avandia, it knew was very risky for its patients while never disclosing material information to those using it. Even worse, GSK used its size to intimidate dissenting views and strike deals that prevented this data from reaching the public over the course of years. As a result, Avandia was linked to over 300 deaths in the third quarter of 2009 alone. In fact, as the NYT reported, government reports indicated that if every diabetic was taking a competing product known as Actos, as many as 500 heart attacks and 300 cases of heart failure could have been avoided. Misrepresentation of data: Some GSK studies of Avandia were considered “unethical and exploitative” by the FDA. Additionally, a GSK study on Avandia in Europe, dubbed the Record trial, was performing so poorly in 2004 (showing patients were at higher risk for heart problems) that GSK executives would never answer any questions regarding Avandia’s impact on the heart with any certainty. Intimidation: As early as 1999, medical experts were suggesting Avandia could pose a heart risk. These experts were threatened with legal action by GSK before signing documents that assured their silence. Another failure appears to be at the various regulatory agencies. Despite having data that suggested Avandia posed significant risks, these agencies were reluctant to move quickly. Despite numerous questions regarding Avandia’s safety, these bodies held back making much of this information widely available and GSK capitalized on this silence by aggressively marketing the drug. It appears that protecting the profits and value of GSK was more critical to the regulatory agencies than protecting the lives of those using GSK products. However, with this information now made public, what will the regulatory bodies do with GSK? What of the executives that were paid millions for running GSK that knowingly obscured or withheld life saving data? Will they be tried as criminals? Will there be significant fines levied against GSK? Will this episode help usher in new thinking at regulatory agencies where the citizens are held in higher regard than the corporations? Essentially, will there be punishment meted out that is commensurate with the deaths of possibly thousands by GSK and its executives? It’s nice to dream, but given the Orwellian world we live in and precedent set by the financial industry, it’s more probable that those executives are rewarded and receive more generous retirement pensions for the fine work they conducted.